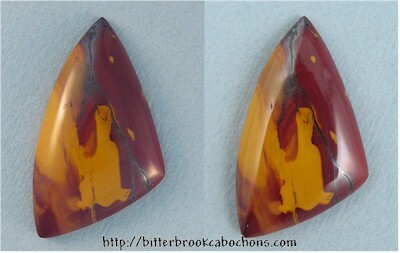 Very nice smallish Mookaite cabochon. Good contrasts between the reds & yellows. I sealed several surface fractures in this one, visible in the photo. 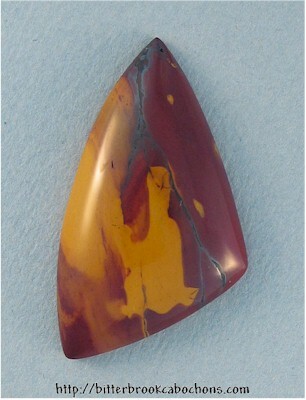 Gloria at Wire Treasures wire wrapped this cab into a pendant; you can see it here! 37mm x 21mm x 6mm. Weight: 30.50 carats.